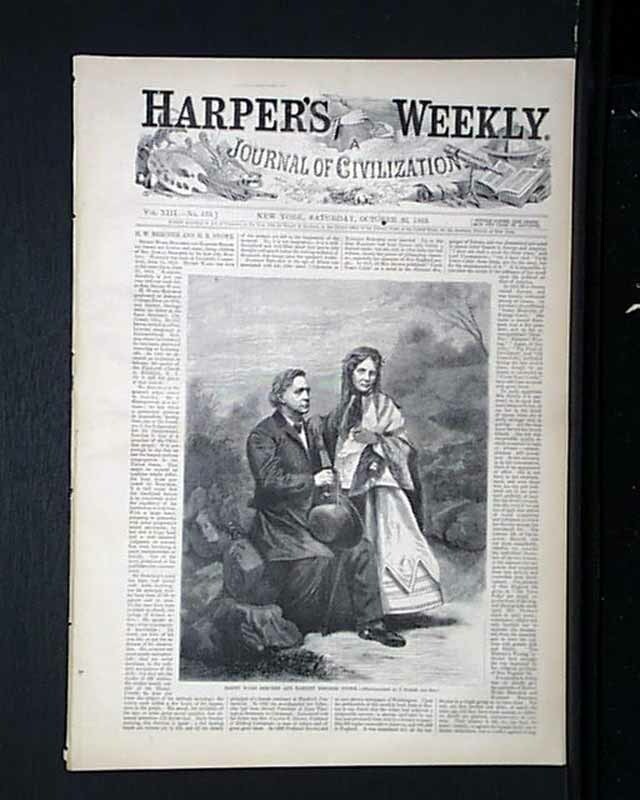 HARPER'S WEEKLY, New York, October 30, 1869 The front page of the issue contains a nice illustration and biography of 'Henry Ward Beecher and Harriet Beecher Stowe'. 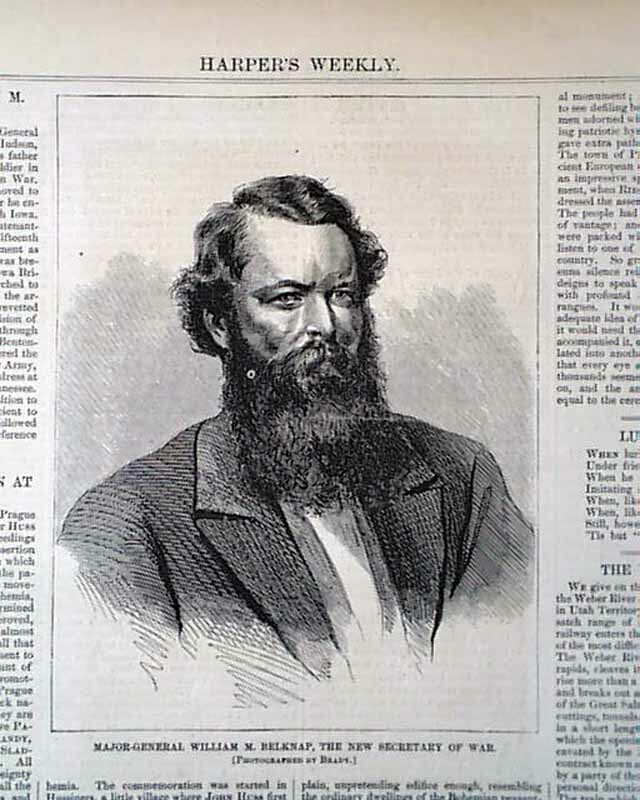 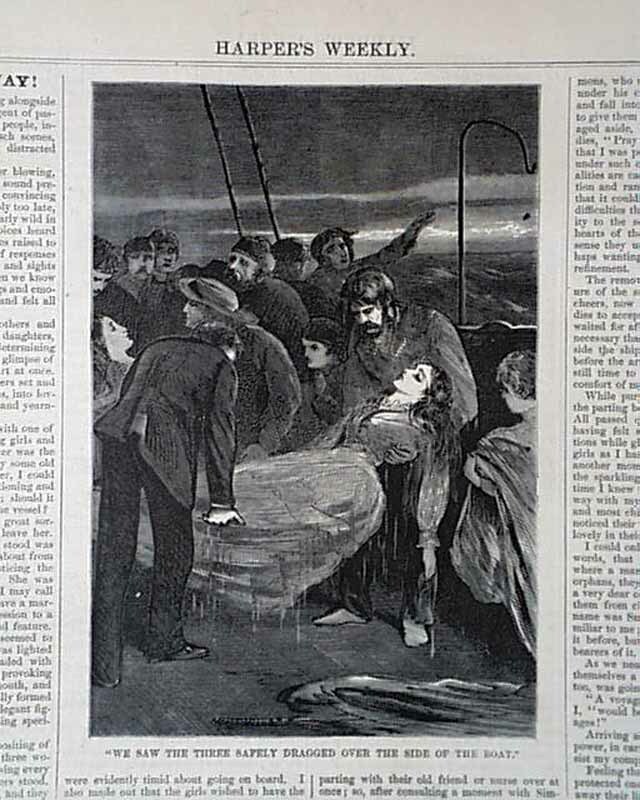 A quarterpage illustration of "Major-General William M Belknap, the New Secretary of War" also has an accompanying article. 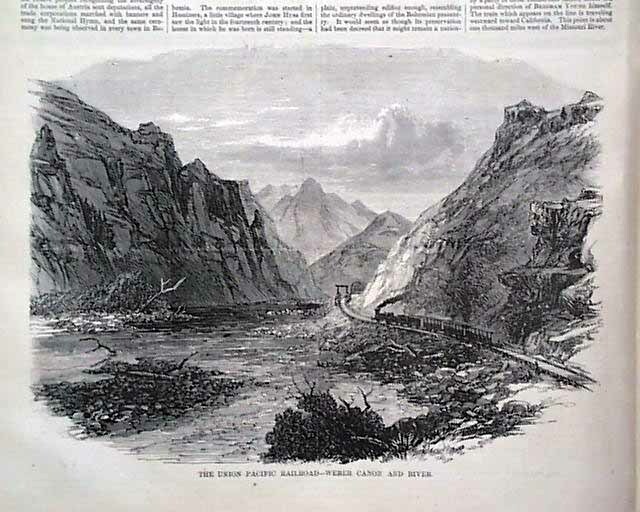 A nice halfpage illustration is of 'The Union Pacific Railroad - Weber Canyon and River' (Utah). 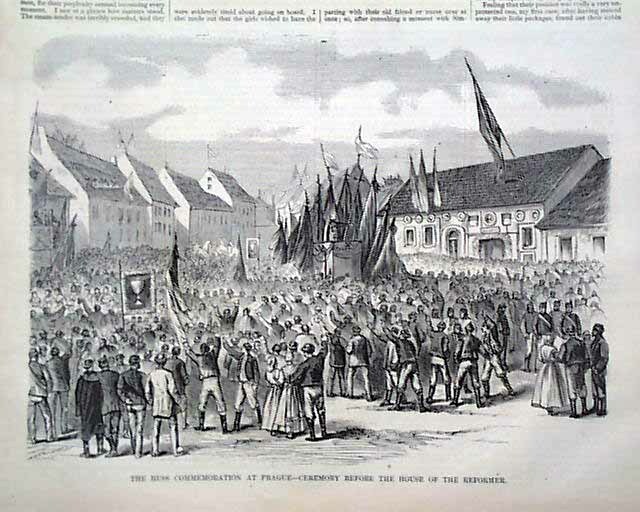 "The Huss Commemoration at Prague" features a halfpage illustration. 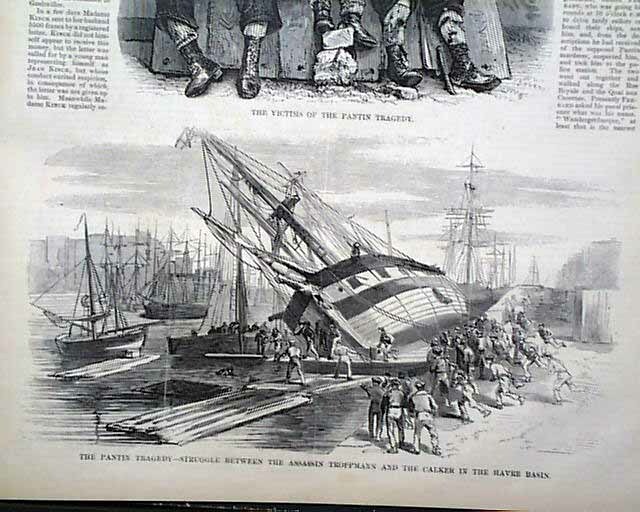 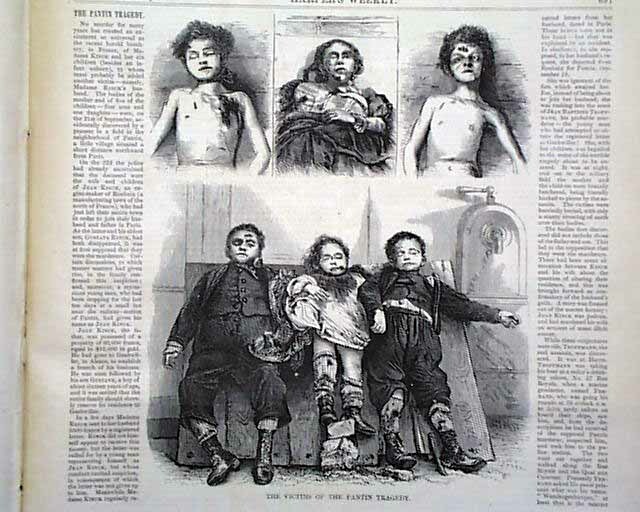 A full page 'The Pantin Tragedy - Discovery of the Six corpses' with gruesome views of the mother and 5 children. 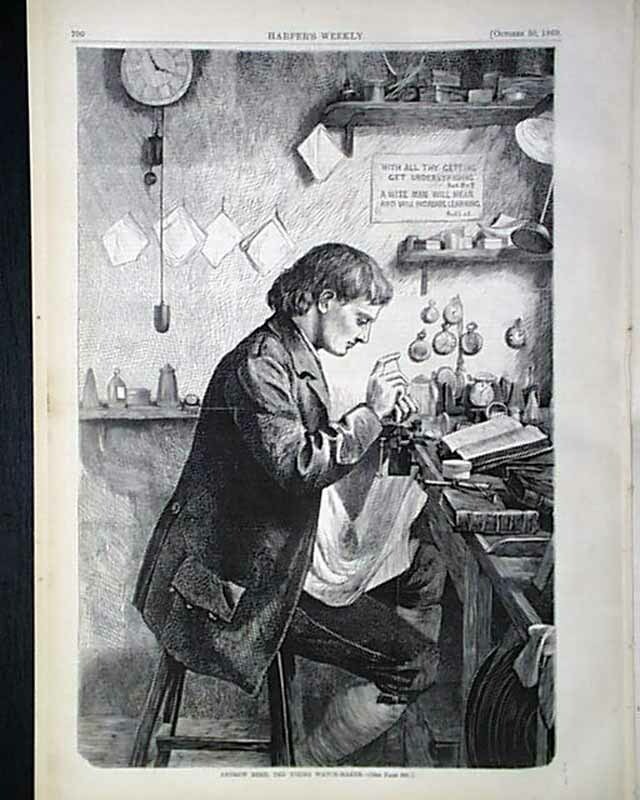 A very nice displayable illustration is the full page: 'Andrew Reed, The Young Watch-Maker' and is a great print for any watch collector. 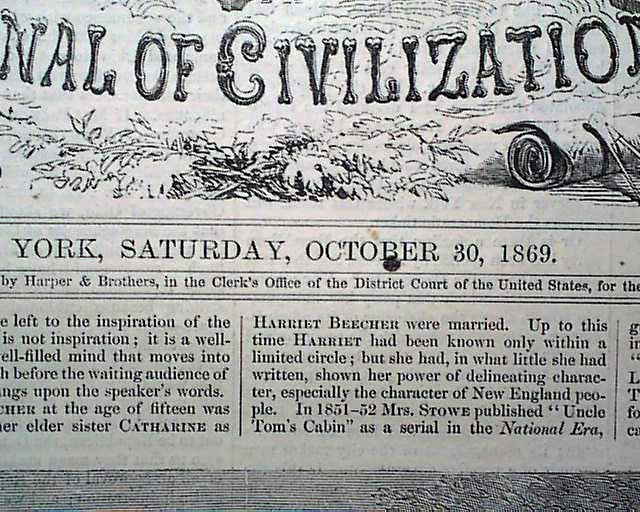 Views of the Centennial also. 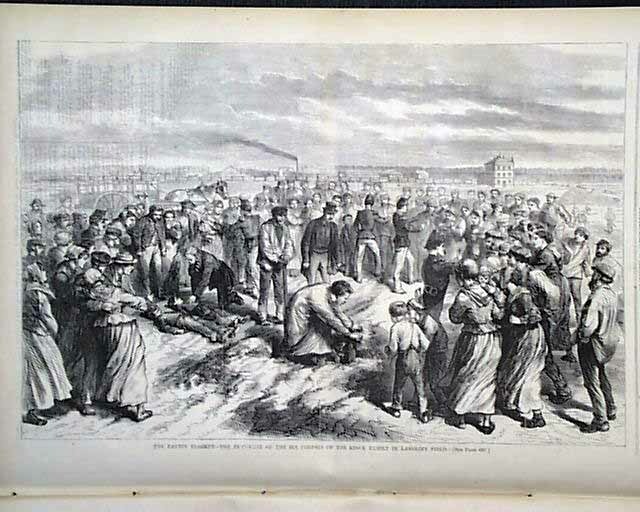 A Thomas Nast political cartoon is on the back page. 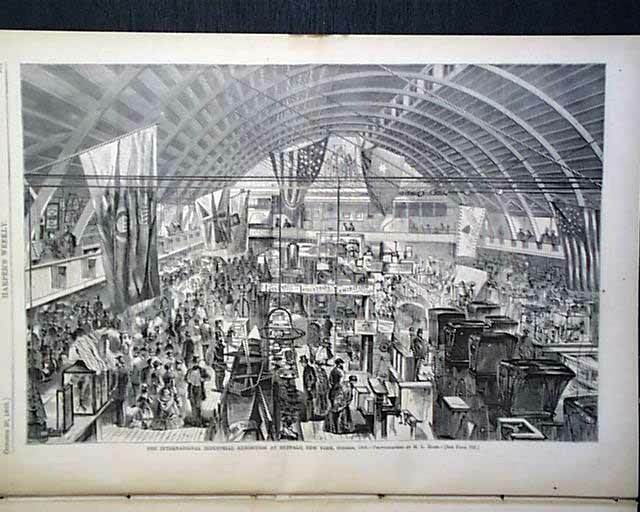 Complete in 16 pages and contains additional prints and related text.